When Cornelia Greystock received a proposal from Sir James Hawkston, she couldn’t bear it. It had been inspired, she knew, from pity and remorse—not love. Unable to face him afterward, she leaped at an offer of employment from the Countess, Lady Du’Breven. Serving as her companion, Cornelia struggles to adjust to the change in her social status, but the hard work distracts her from her broken heart. That is, until the Countess decides to hold a summer house party at her family estate and invites Sir James. 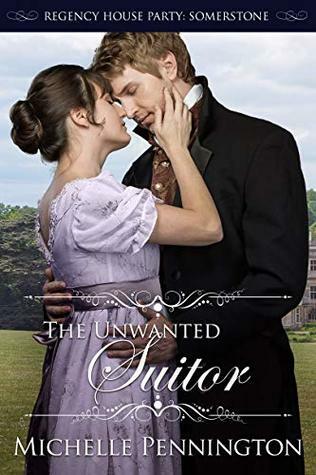 Sir James has never recovered from his disappointment when Miss Greystock refused his proposal and then fled, according to her family, to live with an unheard-of aunt in Ireland. When he grudgingly accepts an invitation to Lady Du’Breven’s house party, however, he is astounded to find Miss Greystock there. One thing is certain—this time he’ll court her the way he always should have. He is almost certain she returns his feelings, but he must tread carefully. If she refuses his proposal a second time, it would not be gentlemanly to ask a third. As time grows short and she continues to hold him at arms-length, will he find a way to at last win her hand? Michelle Pennington writes clean, heart-pounding, sigh-inducing romance across multiple genres. 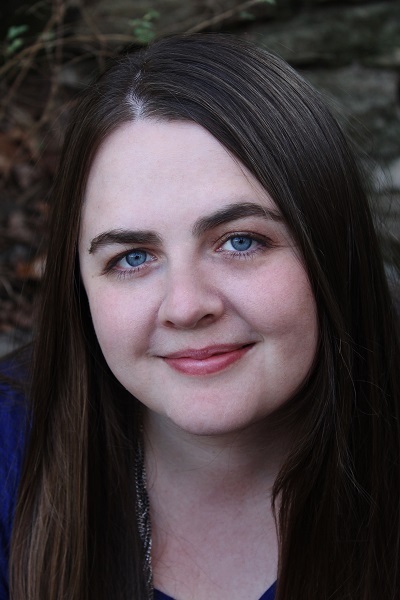 Her books include Young Adult, Contemporary, Regency, and Fantasy. The genre might change, but her characters will always be falling in love. She spends her days quoting movies with her husband and making messes faster than her four kids. She also has a cat her kids call Boots, but is really Hessian Boots, the perfect Regency gentleman, complete with a snowy white cravat. She loves to make magic by stringing words together, but she also creates designer sugar cookies, sings loud in church, and kills too many house plants. One can only be careless with so many hearts before he ends up breaking his own. Lord Anthony is an outrageous flirt with a devil-may-care attitude. The last thing on his mind is settling down. When the Countess Du’Breven invites him to her house party, promising to see him married, Anthony finds the prospect diverting and accepts. But when he meets a damsel in distress unwilling to accept his help, Anthony realizes his attraction to her may be his downfall. Isabel Townshend is at her breaking point, caring for her ailing father and her innocent younger sister. She has a family secret to protect and no time for handsome young men, even at a house party with so many eligible bachelors. When Lord Anthony disturbs her well-laid plans, Isabel realizes her determination to protect her family may cost her future happiness. With hearts at odds and defenses drawn, will Isabel and Anthony be able to put aside their differences and find love at last? An Unlikely Courtship is one of five books set in the Regency House Party Series. While each is a stand alone story, watch our characters mingle together with others from the books in the series. The stories can be read in any order. Conrad Pinkerton, the Marquess of Kendal, despises society; the scheming, the guises, and the games they play. And yet, for his twin brother, he agrees to a temporary guise of his own, pretending to be his brother for a house party. Playing the fop should be easy, as long as he keeps everyone at a distance. But when he meets Jessica Standish, he wishes she didn’t think he was someone else. Jessica Standish has never been considered worthy by the ton and now that she and her mother are penniless, the chances of a good match seem out of reach. Even the matchmaking schemes of the Countess Du’Breven seem doomed to failure. This house party will change nothing, though it’s hard not to hope when she sees Lord Ian again. The connection between them grows, though he seems so different from the man she remembers. With his family name and fortune on the line, Conrad knows he should leave with his secret intact. After all, how can she truly love him if she thinks he’s someone else? Marjorie’s days as the barefoot daughter of the stable master are long past—she’s an educated and accomplished artist. But at the house party of the summer she is out of her social depth, especially when reunited with Reginald, a man she has secretly loved for years. Just when he begins to show real interest in her, his older brother Miles tries to separate them and sparks fly. Miles is maddening and intriguing, and stirs a longing for a radiant future, but are his intentions sincere? An alliance is forbidden and a chance for love may cost Marjorie’s dignity and her father’s employment. Lord Miles Beauchamp is the heir to an earldom and unyielding in his principles. He doesn’t have time for trivial social gatherings, except when reforming his brother. Miles anticipates Reginald’s wandering eye, but is caught off-guard when he pursues a wholesome woman, one Miles is honor-bound to protect. It will take all Miles’ effort to keep his brother in line, Marjorie from harm, and himself from falling in love. In a society keeping them a world apart, can Miles and Marjorie find a future together? Tabitha’s Folly is one of Five books all set at the same Regency House Party Series. While each is a standalone story, watch our characters mingle together with others from the books in the series. The stories can be read in any order. At a young age Heidi perfected the art of hiding out so she could read instead of doing chores. One husband and four children later, not much has changed. She has an abiding love for peanut butter M&Ms, all things fall, and any book that can make her forget she is supposed to be keeping her children alive. Heidi currently lives just north of Boston, in a charming old town in southern New Hampshire. Mindy loves all things history and romance, which makes reading and writing Regency romance right up her alley. When she isn’t living in her alternate realities, she is married to her real-life Mr. Darcy and trying to raise five proper boys. They live happily in the beautiful mountains of Utah. Sara Cardon craves happily ever afters—which is why she writes heartfelt stories to uplift and inspire. She grew up in West Texas and graduated from Brigham Young University with a degree that has nothing to do with writing. Sara has four kids, a dog, and a true-blue husband. He laughs at her hero crush on George Washington. She and her family are putting down roots near Dallas where there’s plenty of wide-open sky, cattle, and sunshine. Now, she loves to share bits of history that might otherwise be forgotten. Whether in Regency England, the French Revolution, or Colonial America, her romance novels are much like life is supposed to be: full of adventure. She is a member of the RWA, the SCBWI, and LDStorymakers. She is also the chair of the Lonestar.Ink writing conference. Destined for Love Resorts & $100 Giveaway! Can the magic of the season keep them together beyond Christmas? When Luciana Romano arrives in Hudson Springs, New York, her plan is to complete her restoration job at the museum so she can return home to her family in time for Christmas. But a blizzard grounds all flights, and she finds herself stranded. The DiLorenzo family offers her a place to stay, and she accepts their hospitality. But the unexpected attraction between her and the quiet, good-looking son makes it hard to want to leave. Jack DiLorenzo is stuck. Managing the family’s Italian café is not what he’d planned to do with his life, but his sense of duty won’t let him quit. When his grandmother invites a Portuguese woman to stay with them, Jack feels something he hasn’t felt for a long time: hope. He knows he shouldn’t get close to Luciana since she’s leaving as soon as the airport opens, but he can’t help himself. Yet as the magic of the season begins to work on them, he wonders how he can let go of the woman who’s awakened his heart. Finding love at the amusement park can be quite a ride. Becky Perkins has lost her job, her lease, and her car. As a result, she moves back in with her parents and takes the only job she can find: a seasonal position at the local amusement park as a sign spinner. Unfortunately, it includes wearing a foam hot-dog suit. When she crashes into fellow park employee Hudson Lowell, on her first day, suddenly the job doesn’t seem so bad. Actuary Hudson Lowell feels the weight of the world on his shoulders with this assignment. The Gainesville Amusement Park has been struggling for years. It’s his responsibility to advise the park owners as to the viability of the park. Going into the deal, the solution seems pretty simple—until he meets Becky. The more time Becky and Hudson spend together, the more their feelings grow, making it harder and harder for Hudson to be objective about his decision. If the park closes, it will impact the whole town and directly hurt Becky. And how can he hurt the woman he has fallen for? A first love that deserves a second chance. Doctoral student Holland Reeves may have aced every class she’s ever taken, but when it comes to life outside her lab, she finds she has more meaningful relationships with test tubes and pipettes than she does with people. That all changes when a surprise wedding invitation arrives, forcing her to return to the small coastal town of Paradise and the Clairborne Resort, where she left her first dream of being Mrs. Clairborne to begin the dream of becoming Dr. Reeves. There she must face her past and, to her surprise, the only man she ever loved, Porter Clairborne, the prodigal son who has unexpectedly returned. Together, Holland and Porter must decide if their love deserves a second chance, and if Paradise will finally live up to its name or forever remain a town of broken dreams. Will their online magic survive when they meet in real life? Ethan Walters has no time for distractions like romance. Not if he's going to have the brilliant medical career he's always dreamed of. But when he's given a trip to a theme park resort as a college graduation present, he can't exactly say no. Even if Samantha--the one girl with the power to dismantle his goals--is tagging along. Samantha Diederik has managed to avoid her high society mother’s manipulations since the woman moved to Europe. Now she’s back and pressuring Sam to move to New York with her. With that battle on the horizon, Sam proceeds with a vacation with her brother and his roommate. She’s crushed on Ethan for years. They've only met online, but their hours-long conversations are the highlight of her week. Now she has a chance to find out if the cyber magic she's felt with him will translate to real life. And wow, does it ever--with sparks flying! Now all she has to do is find a way to fight off her mother's machinations while convincing Ethan she won’t destroy his dreams. Anna Short’s life has been in a slump ever since her boss and boyfriend—who happened to be the same person—dumped her. Now forced to work at a coffee shop, she's pretty sure her life can't go any lower. Enter Michael: her best friend McKenna’s older brother and life-long crush. Michael Jones is the life of the party. As a Defenseman for the New York Rangers, he's always had his pick of women and friends. When he mistakenly proposes to the Mayor's daughter at a party one night, he hightails it out of New York before the media storm hits. He drives to McKenna’s house where he finds her in emotional shambles. Grateful for the distraction her problems give him, he jumps head first into finding a solution. When McKenna begs them to fake a marriage so they can go with her to a counseling resort designed to help fix her failing one, Anna and Michael agree. After all, the drunken kiss they shared two years ago was definitely in the past. But when they decide to make it their mission to bring McKenna and her husband together, they begin to realize just how good of a team they really are. Felicity should have suspected something when she got hired to take pictures at a resort in Belize, all expenses paid. When she arrives and bumps into her ex-fiancé, Aiden, she realizes she’s been set up. His grandmother is playing matchmaker and every time she turns around Grams is forcing Aiden and her together. But she can’t fall for him again, it was a disaster last time, and she doesn’t want to repeat the past. Aiden can’t believe Felicity is at his resort. She broke his heart five years ago, and he’s determined not to allow it to happen again. But one disaster after another keeps forcing them together and he’s sure Grams is behind all of it. He’s just not sure how long he can hold out without pulling Felicity into his arms and confessing that he never really got over her. Her Big Fat Dreamy Billionaire Ex is a sweet romance, and it is a stand-alone novel. Can their love survive her secret? Hannah Rhodes is determined to keep her beachfront property, even though she can’t afford to. But it’s her childhood home and she can’t bear to see it plowed down by the billionaire investor who keeps raising his offer to buy it. When the same man hires her to be his daughter’s nanny—providing her the income she needs to reject his offer—the irony is not lost on her. However, seeing him as a loving, worried father makes it difficult to enjoy her secret revenge. For Carter Ellis, building his own resort was a massive risk, but worth it to build a new life for his daughter away from his controlling mother. Everything is going to plan except that the owner of the tumbled-down home blocking his resort view and threatening its success refuses to sell. If only his new nanny would stop distracting him, he just might be able to figure out how to solve this problem. Not only is she beautiful and vibrant, she’s helping his daughter bloom. Just when he begins to give in to his feelings, he discovers who she really is. When their trust is shaken, will Carter and Hannah sacrifice what they wanted most for a chance at something more? Jasmine has finally landed her dream job with a world-famous couture wedding dress designer. All she wants is to make a name for herself in the fashion world, and working on a celebrity’s wedding is a great start. But when the groom gets caught leering at the staff, the bride demands any single designers be taken off the project. No problem—Jasmine quickly invents a fake fiancé. Too bad the bride insists he come to the wedding. Dr. Isaac Sloan couldn’t save his best friend, so he’s left the army and cut all ties with his past. Now he’s spending his newly inherited fortune to improve the transplant surgery that killed his friend. Following through on the silly marriage pact he made with his childhood crush certainly isn’t in the plans. When Jasmine runs into Isaac at a coffee shop, he reluctantly agrees to be her pretend fiancé—but only after learning the bride’s dad is the prestigious transplant doctor who’s help he desperately needs. As sparks fly between Jasmine and Isaac, the line between fact and fiction grows very thin. Can they keep the engagement secret, or will the lies unravel their careers? $100 Amazon Gift Card or Paypal Cash Giveaway Ends 6/22/18 Open only to those who can legally enter, receive and use an Amazon.com Gift Code or Paypal Cash. Winning Entry will be verified prior to prize being awarded. No purchase necessary. You must be 18 or older to enter or have your parent enter for you. The winner will be chosen by rafflecopter and announced here as well as emailed and will have 48 hours to respond or a new winner will be chosen. This giveaway is in no way associated with Facebook, Twitter, Rafflecopter or any other entity unless otherwise specified. The number of eligible entries received determines the odds of winning. Giveaway was organized by Kathy from I Am A Reader and sponsored by the author. VOID WHERE PROHIBITED BY LAW.